It's always nice to share an eye make up on Sundays as unlike the reviews and other posts, this is something, I like writing as well as preparing the pictures. 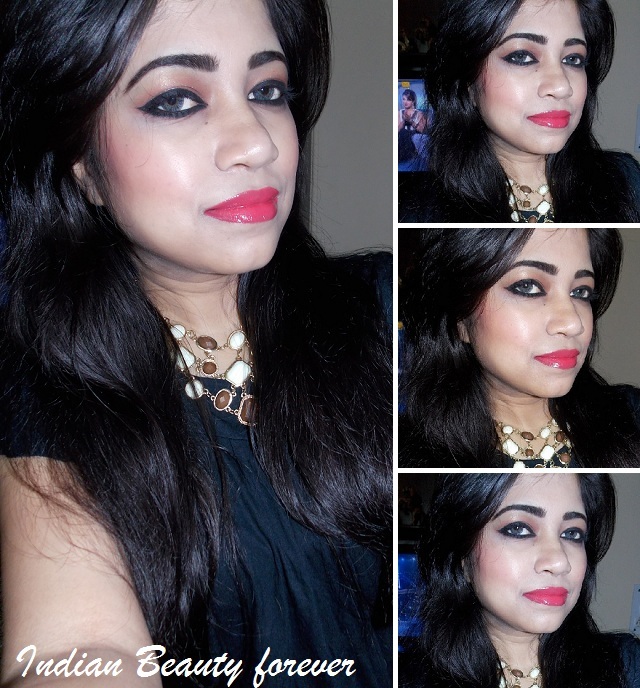 Yesterday, I shared this makeup look where I did this Thick cat eyeliner with warm corally pink lip color and as I promised, here is the tutorial for the same. 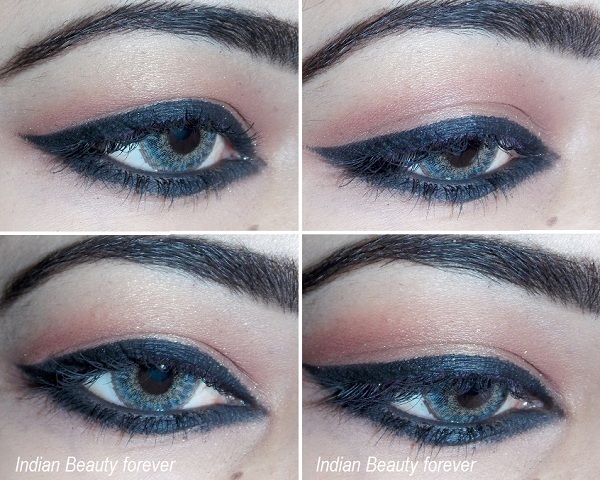 It is really simple, but still I though it will be good to share, how I did my eye makeup. 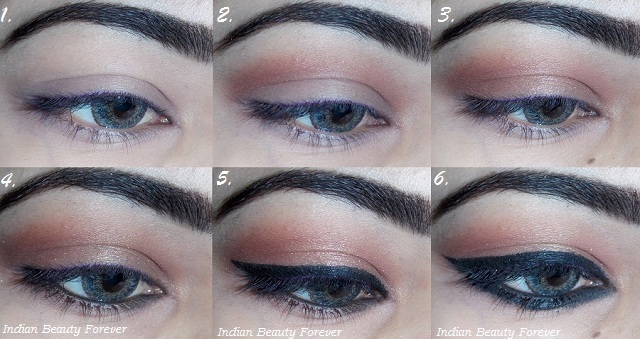 Therefore, I made this step by step eye makeup tutorial. It's simple that you're going to like doing on yourself. Step 2: I used a warm brown matte shadow on the crease with a blending brush from Sigma (E25). Step 3: To put some shine on the eyelids, I used a bronzy shimmery shadow. Step 4: I used kohl on the waterline. Step 5: Applied eyeliner with a slight wing. Winged Eyeliner tutorial. Applied multiple coats of mascara with some white eyeshadow with gold shimmer on the brow bone. Now, in this look, I am not quite pleased with the neatness when I see the look up close on individual eye though when seen as any entire look it looked fine. I think it's time to do something about my gel eyeliner, it seems dry and not creamy enough which is why I didn't find my eyeliner neat for this look as per my full potemtial. Anyways, If your gel liner get dried up then use this tip. Close the pot tightly and put it in a bowl of warm water for 15 minutes. Warmth of the water will make the formula a lot more creamy! And here's me! with the cat eye eyeliner. By the way! I am loving creating this collage pictures, I made one yesterday as well for Femina salon and spa magazine review. You can see more pictures and makeup breakdown of the look by clicking the link below!